Positive words from the ones with their bums in the chairs. Thanks again lots for such wonderful comfortable chairs and sourced in such a considerate manner. Much appreciated. We are very happy with the furniture you supplied. We love sitting in it to read, eat and just enjoy the views. 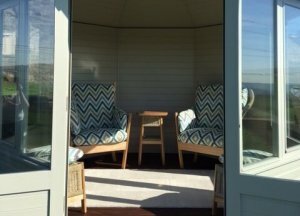 Just to confirm how delighted we are with our Jogya conservatory furniture, the appearance and comfort are superb. We are delighted with the furniture; very comfortable and the fabric is great. 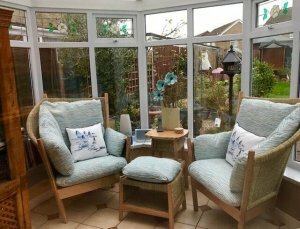 We had sat in the chairs and checked them out several times at various shows like Malvern and the Ideal Home Show, and have never seen anything else comparable. So we’re very glad we at last took the plunge. They look splendid in our summerhouse. 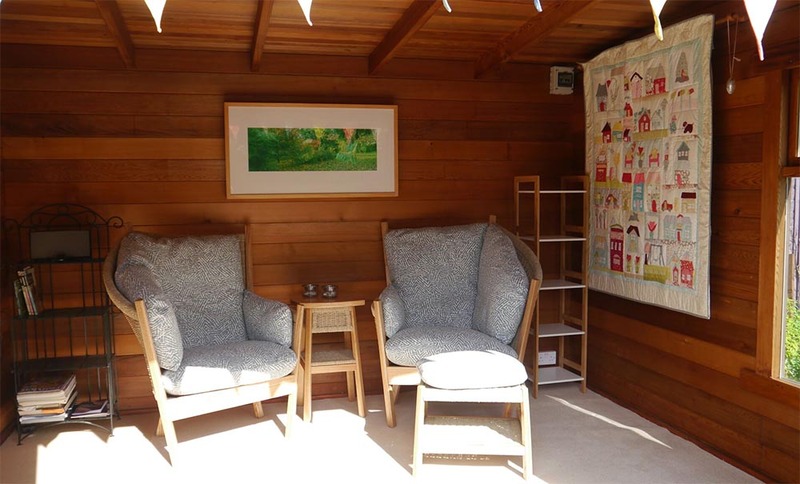 We thought we would send you a picture of our garden room with your lovely chairs, table and cabinet. We haven’t quite finished the room yet but we are very happy with the furniture you supplied. We love sitting in it to read, eat and just enjoy the views. 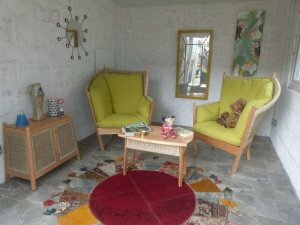 As you can see the teddies really like the chairs as well. Linked to this superb product range is the outstanding level of customer service we have received; from our initial contact when Natalie couldn’t have been more helpful in providing literature and fabric samples, right through to the efficient and cheerful delivery exactly within the quoted lead time, our experience of your company has been first class. We would not hesitate to recommend you and wish everyone at the Fair Trade Furniture Company (including of course the marvellous workforce that manufacture the products) every success in the future. Thank you for such a positive buying experience. Many thanks for our chairs which arrived safely on Saturday in the end (no thanks to the M25). We are really pleased with them and have spent all day tidying up now to get rid of all our accumulated clutter to make the room look nice. Just to say we absolutely love our set of chairs and are really over the moon with the colour. Igor was very helpful and careful with the delivery, an excellent ambassador for your business. and no longer thinks they are too big for the room. He says the trouble with them is you just don’t want to get out of them! I haven’t told him he is getting a footstool soon…. 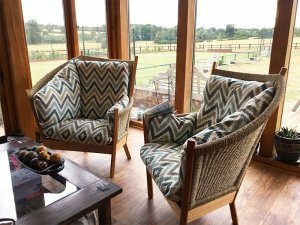 “We are delighted with the furniture and have had many positive conversations about it with visitors about its origins and makers. It is comfortable, the design is of excellent quality and we are more than delighted with our purchases!